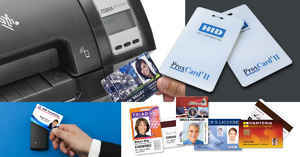 Before you start looking for a card printer you should already know what information will be included on your ID cards. Knowing what information will be included helps you decide whether you need a single-sided or dual-sided ID card printer. 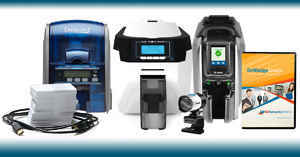 Before making your decision it is worth considering the benefits of each type of printer. 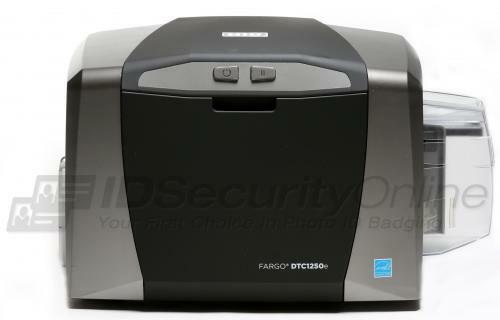 Single-sided printers such as the ﻿Fargo DTC1250e Single Sided ID Card Printer are normally both compact and lightweight so you can fit them easily into your business environment without needing to find a lot of extra space in your office. The Fargo DTC1250e comes with the option of either a disposable ribbon cartridge or an eco-friendly fill ribbon. Either ribon option will let you print in either black & white or full color. 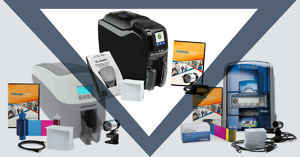 If you will only be printing a few hundred cards a year, or If all you want to include on each card is basic data such as, the employee name, photograph, and your company logo then you a single-sided card printer will be sufficient. If you aren�t able to fit everything you want to say on one side of the ID card then a dual-sided printer would be a better choice. Don�t make the mistake of trying to use a single-sided printer to print on both sides of the ID card by turning the card over and passing it back through the printer. Printing your cards one side at a time and then loading them back into the printer to print the other side is a slow process making your printing program less efficient and reducing your productivity. Using a single-sided printer in this way also risks damaging the printhead requiring a costly replacement. Even if you avoid damaging the printer the resulting cards are rarely acceptable with fingerprints, dust, and general debris often distorting the printing and significantly reducing the quality of the ID cards. 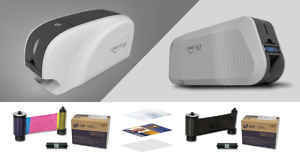 If you choose to purchase a dual-sided (or duplex) ID card printer such as the ﻿Magicard Enduro3E Double-Sided ID Card Printer then not only will you have the capability to print up to 100 color cards an hour if you need them but you will be able to print two sided ID cards in one go. Printing on two sides allows for the inclusion of more information without cluttering up the card and making it difficult to read. 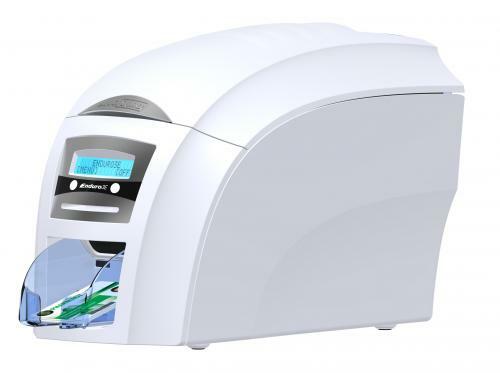 The Magicard Enduro3E offers 300 dpi sublimation, monochrome, thermal rewritable, with both manual and hopper fed input systems. If you don�t need that much information on each card dual printing can still be useful as it allows for the same information to be featured on both sides of the ID. Having the same information of both sides of the card can be helpful in industries such as, health care where ID cards are worn on a lanyard and need to be clearly visible at all times. It can frequently happen that an ID card turns over as the employee moves around. If you have printing on only one side of the card then a flipped over card becomes useless, while a two sided card can still be easily read even when it turns over. 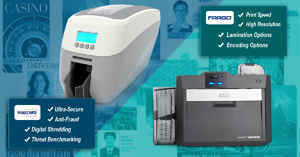 For many businesses a dual-sided printer makes most sense, since you can as much or as little information as you need. If you are uncertain whether you will ever need the capabilities of a dual-sided printer then choosing a single-sided ID photo printer such as the Fargo DTC1250e Single-Sided ID Card Printer which can be upgraded to a dual-sided printer would be a good decision. You may not need to include much data on your ID cards at present but choosing an upgrade-able printer allows your badge printing to evolve as your business requirements grow and change over time.